Landscapers are demanding more cordless alternatives to gas-powered outdoor power equipment. Makita is meeting demand with an expanding line-up of cordless OPE, including the 18V LXT Lithium-Ion Brushless String Trimmer. With zero emissions, lower noise, and considerably less maintenance, the 18V X2 cordless string trimmer is a welcome solution for landscapers. 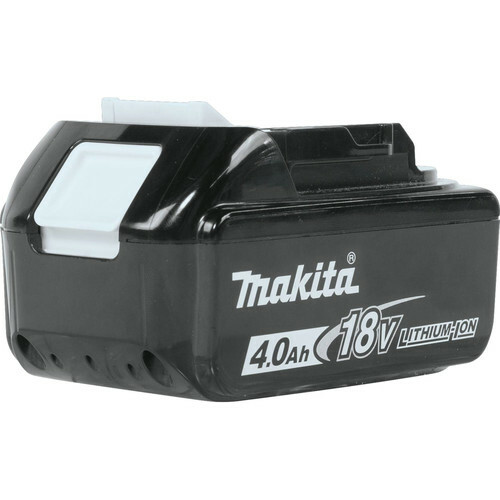 It's compatible with Makita's fast-charging 18V LXT batteries, and features an efficient Makita BL brushless motor for longer run time, increased power and speed, and longer tool life. The efficient brushless motor delivers up to 6,000 RPM for faster cutting. The XRU11Z is equipped with Automatic Torque Drive Technology, which automatically shifts from 4,000-6,000 RPM depending on the density of the application. There are three speed options (4,000/5,000/6,000 RPM), allowing users to match the speed to the application. On the high setting, users will get up to 40 minutes under load while using an 18V LXT 5.0Ah battery (sold separately). Additional features include a full 11-3/4 in. cutting swath, an easy-loading bump-and-feed trimmer head, and reverse rotation that allows users to quickly clear the head of entangled grass and weeds. The XRU11Z accepts industry standard M8x1.25 LH spindles. $150 is a good price for the brushless trimmer alone. at the time of my purchase, it looked like it was going to come with 2 batteries, which it did not. It is an OK string trimmer. the 6000rpm and two strings make it work pretty well, although the speed controls take some gettting used to.